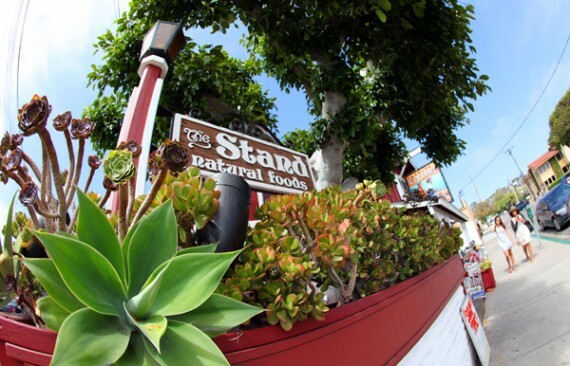 the stand in orange county is a southern california institution. people have been telling me about this restaurant for years, and according to reports on happycow, it’s been around since the ’60s. 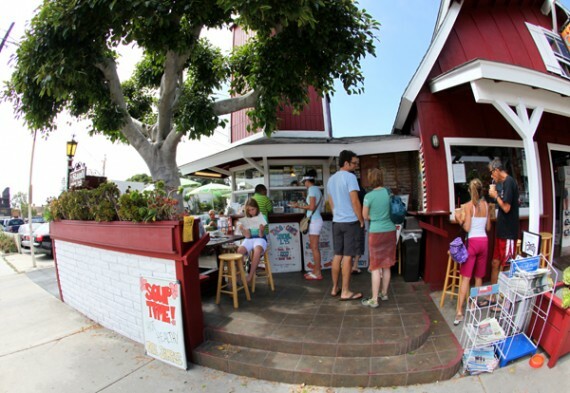 the tiny vegan eatery is located right by the ocean in laguna beach, and serves up a large yet simple menu consisting of things like salads, sandwiches, burritos, and smoothies. the focus is on plant-based natural foods, so that means no animal products, but also no processed fake meats or cheeses…even tofu and seitan are absent from the menu. the stand pulls it off though, with delicious meals based around fresh vegetables, legumes, brown rice, and incredible sauces. we went there for the first time last week and loved it. i have been kind of obsessed with bowls lately, and if i see one on a menu, i have to order it. luckily for me, the stand has tons of appetizing bowls to choose from, so i went with the special bowl. for just under 6 bucks, it came with filled up brown rice, pinto beans, mild salsa, and a garnish of shredded vegetables. it’s normally served with guacamole as well, but i opted for some extra hot salsa instead—so good. 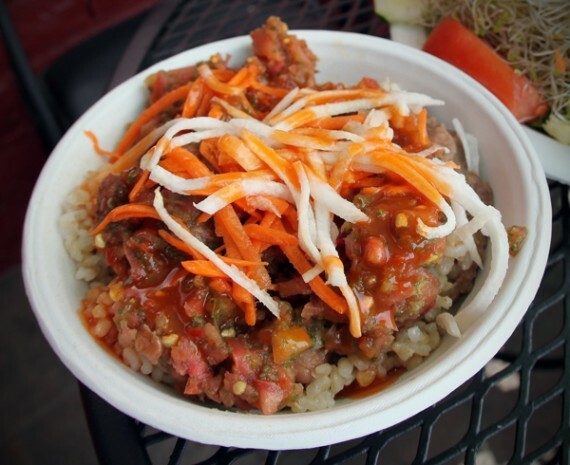 the sauce at the stand is so flavorful and fresh, it really took the entire bowl to the next level. for an extremely basic dish, i really loved this thing. all the ingredients were high quality, it was well cooked, and perfectly seasoned. positively scrumptious. 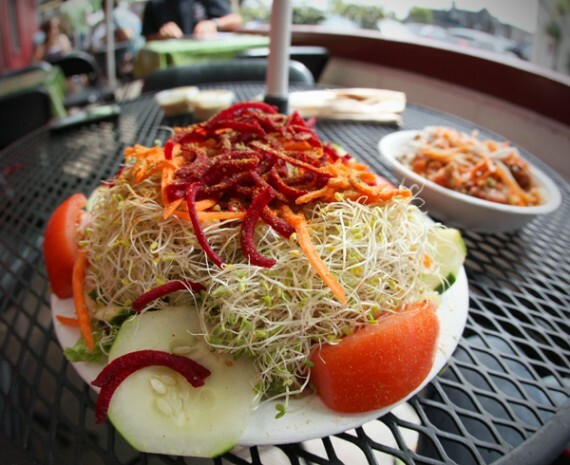 my husband went with the vegetable salad, a plate piled high with cabbage, romaine lettuce, tomatoes, cucumbers, beets, celery, zucchini, sprouts, carrots, jimaca, parsley, and sunflower seeds…served with lemon herb dressing. he asked for it with no bell peppers, and the stand was happy to oblige. although the plate this thing was served on was a bit too small (i mean, just look at that pic! ), everything was fresh and tasty. the atmosphere at the stand is kind of what you’d expect from a little beach joint. the place is really, actually A STAND, with a tiny counter to order at and a handful of outdoor tables to sit at. even at around 2:30pm on a weekday, this place was crowded—so i imagine summer weekends could get pretty crazy. although it was packed, our food was ready almost immediately, so whatever they are doing back there in that little kitchen is obviously working. 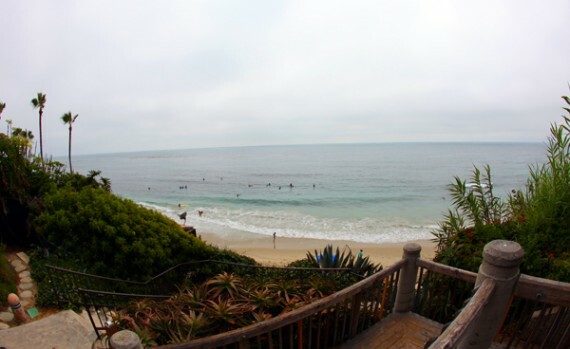 i can’t wait to return to the stand, and i know this place will be a destination every time i’m in laguna beach. the food is simple yet tasty and fulfilling, and the atmosphere is modest yet charming. plus, it feels good to support an all vegan establishment that has been around for so long. 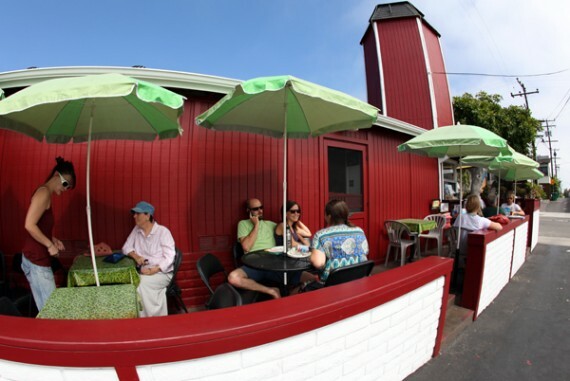 PS: when you are done eating at the stand, head directly across the street for beach access and a nice little public deck overlooking the ocean. lovely!